Difficulties in childhood prepared the men sent to Korea in 1950 for hardships. Born during the worst Depression in the United States’ history, it was a generation that grew up with few frills. Food, clothing and employment for their fathers created waves of uncertainty that tamped down expectations. Many watched their older brothers either take to the railroad cars as hobos, or join the Civil Conservation Corps to send food money to the family. Basic survival in tough times. As the Depression waned, a few years of hope brought full stomachs and shoes without cardboard linings. Then World War II changed family dynamics as older brothers enlisted, uncles and cousins shipped out to parts unknown. Neighbors hung black and gold stars in their windows. Parents walked to the train station to meet a son who never returned. The men who made it back as Liberators of concentration camps, or had been on the front did not talk. The joyous parades shrouded the reality of PTSD, but these teenaged boys realized the truth. In 1950, it was their turn to be drafted into military service. To go to a country they did not know and a people who they never had met. Korea. With their background of the Great Depression and World War II, these soldiers should have been prepared for the sights of abandoned children surviving in brutal conditions. But the 100,000 orphans labeled as “dust of the streets” moved their hearts of compassion. The homeless waifs who roamed South Korean, unwashed, clothed in tatters, with no food, shelter, name or birth date pushed them into action. Their lessons of empathy were rooted in their own childhoods. George Drake, assigned to the 326th Communication Reconnaissance Company- Uijeongbu, recalls his first impressions. “They were starving-malnourished, diseased, barely clothed and dirty.” Like most GI’s, Drake had never seen such poverty or desperation. The U.S. soldiers did not care why the children lived in the back alleys. Some had lost parents to bullets, bombs or starvation. Some were abandoned by ill or injured relatives. Many bore the stigma of “mixed-blood” and constituted Korea’s true outcasts. All were starving for food, care and affection. 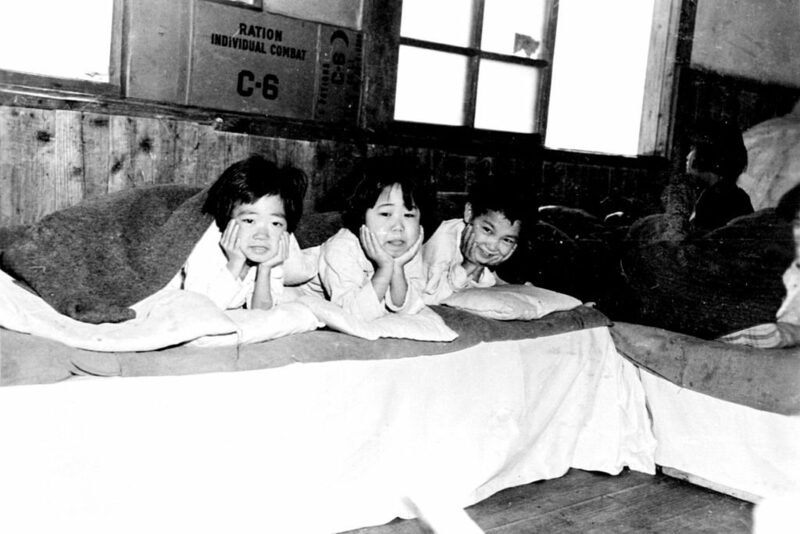 The GI’s collected preschoolers and young teens in their tents until they could build or procure an orphanage. Using what supplies they could find, some roofs boasted shingles made from flattened beer cans. But, soon, over 400 registered orphanages dotted the cities and countryside with support from the meager $100 pay of the soldiers. Coming from homes where faith was taught and modeled, these soldiers wrote letters to their families back in the United States with vivid descriptions of the conditions of the children. Soon, church groups, Rotary Clubs, and other organizations collected clothing and supplies to ship to Korea. As thousands of orphans left the streets for the orphanages, the folks back home responded with generous donations. And with open arms for adoption. 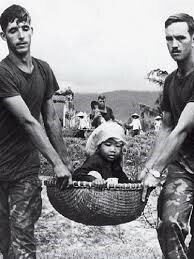 Eventually, 200,000 orphans from the Korean War were adopted from the orphanages started, operated and visited by American troops. Almost all adoptions involved white families living in areas where Asians were not common. This became the first mass wave of international, interracial adoptions known. At this time in history, this type of adoption was considered a radical concept, so no one talked about it and there was little publicity. Some long range studies done recently with 1,800 adoptees suggest most have lived happy, successful lives. William Asbury worked for the Christian Children’s Fun during the war. He applauds the efforts of the US soldiers. “I refer to them as an army of compassion, and it really was exactly that.” Aiding the orphans helped the soldiers to assuage their own conflicted feelings about the brutality of the war. Over two million people were killed, as well as 37,000 US soldiers. Giving life to children helped the men to feel that their lives had purpose beyond their duty. 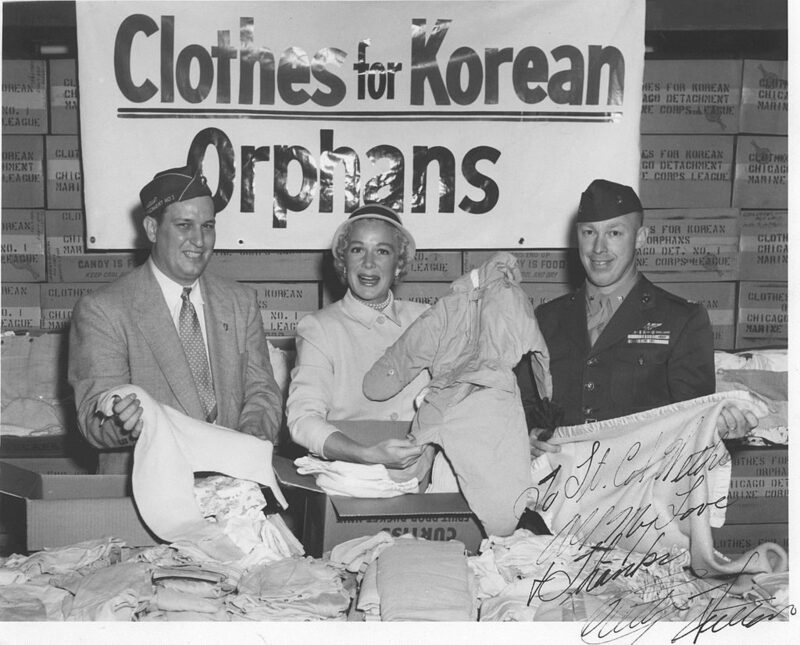 For decades after the Korean War, these GI’s continued to support the orphanages in Korea. Men who grew up in tenuous times with deprivation and despair around them knew what it was like to go to bed hungry, to worry about tomorrow, to long for security. Faced with thousands of homeless children, these military men, barely out of their teens, organized a humanitarian effort that still exists in Korea. Bob Rue is a Korean dental technician who had been homeless in the war rubble. Soldiers brought him to an orphanage. “I love these people-they took care of me. I had no clothes. No food. Looked like a wild doggy.” Rue carries two photos with him. As a ten year old, he is dressed in surplus military clothing and surrounded by grinning GIs. The frayed edges of the pictures tell the story. One kid with compassionate American soldiers. In 1955, Jill Jackson-Miller and Sy Miller wrote a song that is a signature composition for the heart of people who want peace. The words echo the hearts of the Korean War vets and the adoptive families of that decade. “Let There Be Peace On Earth, And Let It Begin With Me.” A powerful message from that era to today’s seekers of peace. Cleo Lampos is an author who addresses issues of relevance to our times. 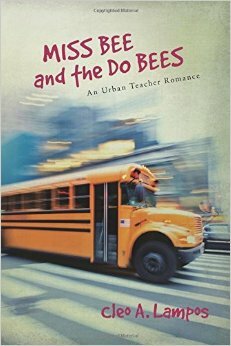 In her book, Miss Bee and the Do Bees, Veronica Bagadonas helps returning Afghan vet Joe Milankovis as he experiences PTSD. With a classroom of students, Roni and Joe work together to heal the hearts, minds and spirits of those around them. 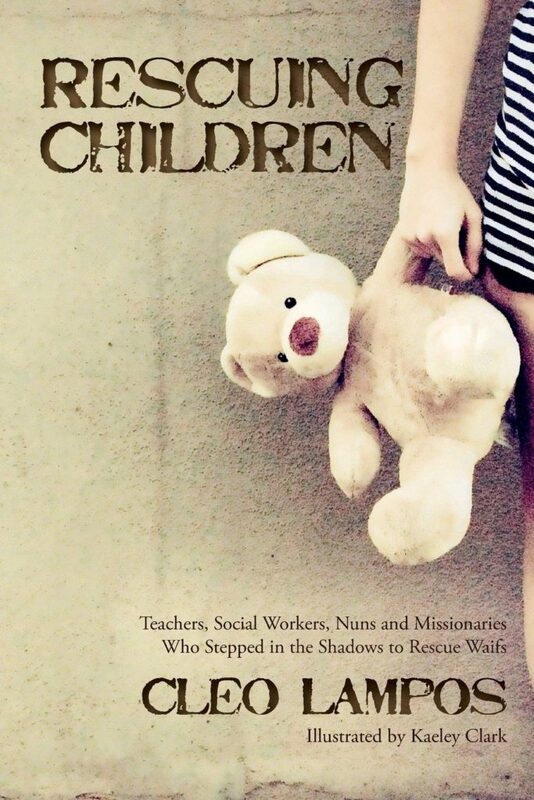 True accounts of eight men and women who have rescued children. Available on amazon! “For Orphans of the Forgotten War, the Past is Shrouded in Questions”, by BettiJane Levine, Times Staff Writer, June 21, 2000. “Veterans’ Forgotten Story: How thousands of Korean orphans were saved”, by Katherine Long, Seattle Times higher education reporter, November 10, 2010. Mosier, Robert H. and Gerald Kornblau. “The GI and the Kids of Korea,” National Geographic Magazine, 103, No.5, May 1953, 635-78. 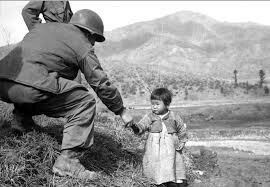 “Korean War veteran tells story of littlest survivors”, By Walter T. Ham, IV, Eighth Army Public Affairs, June 9, 2013. 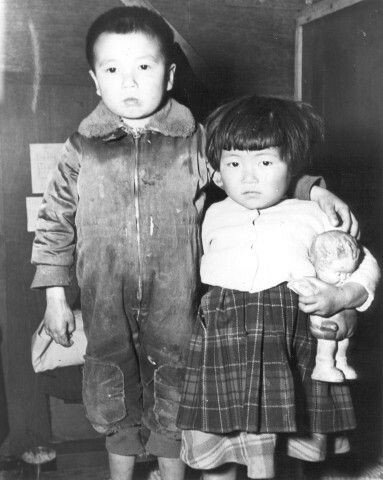 George Drake, Korean orphans, Korean War, Korean War Veteran, orphans. Bookmark.